Despite the fact that the U.S. Treasury Department lifted sanctions on senior Turkish officials in exchange for the release of pastor Andrew Brunson earlier this year, there is great concern about the Americans who still remain detained in Turkey, Washington DC's prominent political paper Politico wrote. One such person is former NASA scientist Serkan Gölge, who was detained in Turkey during a family vacation on what the U.S. government considers trumped-up charges, it said. Gölge was sentenced to seven-and-a-half years in prison in February after being found guilty of membership of the Gülen organisation, a religious group that Turkey blames for plotting the failed coup attempt in July 2016 and considers a terrorist organisation. Some human-rights activists, Turkey experts and congressional staffers worry that the administration of U.S. President Donald Trump gave up ‘’a critical piece of leverage when it repealed its penalties on Turkey,’’ the article underscored. “The Trump administration backed itself into a corner by using Magnitsky sanctions [a law that enables the U.S. government to punish foreigners for alleged human-rights abuses] as a tool for securing Brunson’s release,” it quoted Amanda Sloat, a senior fellow who studies Turkey at the Brookings Institution, as saying. ‘’Every time we have been bold enough to use a stick, [Turkish leaders] respond within a few months’ time. … They respond [to sanctions] every single time, no matter who it is, where it is, when it is,” one Obama administration official told the publication, criticising the current U.S. strategy to tie sanctions to just one person. The case against Brunson, which became a diplomatic flash point in part thanks to efforts of religious freedom advocates and vocal members of Congress, was considered misleading, Politico wrote, adding that the same holds true for Gölge, as well as the three U.S. Consulate workers — Hamza Ulucay, Metin Topuz and Nazmi Mete Canturk. 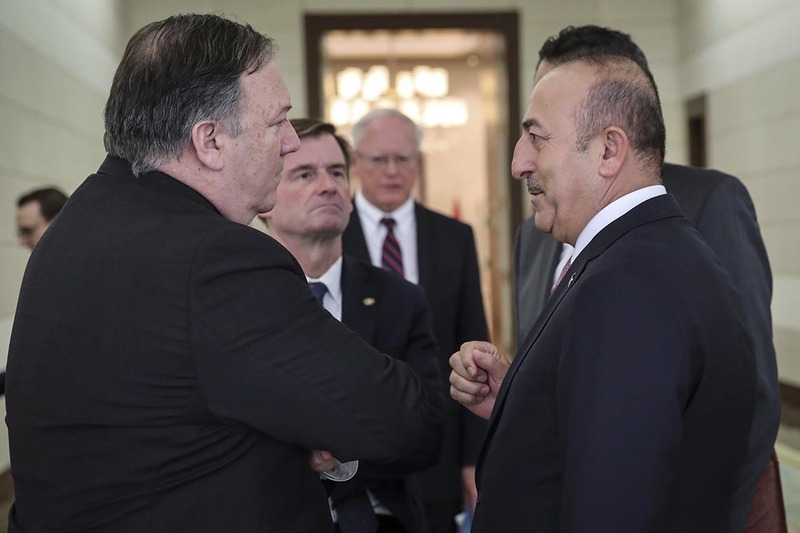 As such, the decision to lift Global Magnitsky Act sanctions after Brunson has some Turkey experts concerned the U.S. may have lost any power over the American detainees. The move baffled those who say the U.S. has otherwise been working hard behind the scenes to free those still held in Turkey.